WHAT KINDS OF SERVICES DO YOU PROVIDE? Ramsey Communications offers a wide selection of services to broadcasters, recording studios and other organizations. We can provide repair services for audio or radio broadcast equipment on an on-going or hourly basis. Most stations take advantage of our On Call Service Package that provides quick response to the their technical needs. DO YOU WORK ON TRANSMITTERS AS WELL AS STUDIOS? : We have over 40years of experience with AM, FM and TV transmitters and related equipment. HOW MUCH DO YOU CHARGE FOR YOUR SERVICES: We have competitive rates and can work on an hourly, weekly, monthly or a la carte basis, or on a turn key basis for installations. Contact us for details. DOES MY STATION NEED TO HAVE AN ENGINEER IF EVERYTHING IS WORKING CORRECTLY? Even though everything appears to be working fine, setting up a regular preventative maintenance schedule will save you time and money. 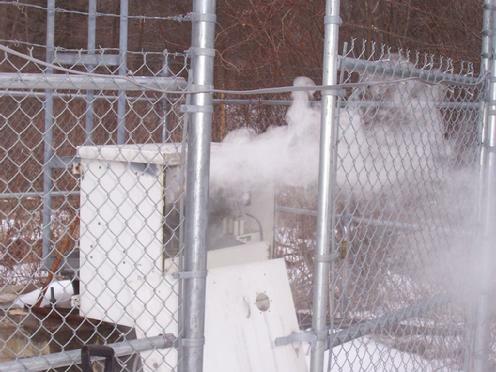 Transmitter sites should be visited on a regular basis and documentation of FCC compliance is extremely important. WHAT ABOUT THE FCC? The FCC issues monetary forfieturers in the thousands of dollars practically every day and broadcasters are not exempt. If you don't have a regular technical staff Ramsey Communications can come on site and do a mock FCC type inspection. We can even help with your Public File which is one of the most difficult rules to comply with. Even if you have a technical staff Ramsey Communications can spot check them to make sure they have your license properly protected. Proper maintenance might have prevented this.